Despite the best efforts of the company to fight back against those who question its financial health, people are still talking about the company’s disappointing results post-merger. This is not going to be helped along at all by Sirius XM’s most recent quarter: it posted a staggering $4.88 billion loss. Revenues did increase 17%, something CEO Mel Karmazin was quick to point out in a conference call with analysts. “Many other good companies are not growing as a result of the issues in the U.S. economy. So we believe showing double digit growth to be very impressive, especially if you compare SIRIUS XM’s results to other media and entertainment companies,” he said. Now, to be fair to Sirius XM, $4.8 billion of this was due to what is called a “impairment charge,” which it took to account for worthless goodwill resulting from the drop in its stock price following the merger. However at the same time, its bad news for a company who is still not doing too great. Add to this debt refinancing woes — it has a large chunk of it coming due in 2009 — and some investors are concerned. $1 billion in debt repayments will have to be made, and the company does not have the money to pay for it. CEO Mel Karmazin has repeatedly said he is confident that he will be able to find the money to pay off those debt payments. However, with the deteriorating economy, its not clear that consumers will continue to pay for a service that is discretionary at best. Add to this that the US auto industry is increasingly having problems moving cars, and thats even worse for Sirius. 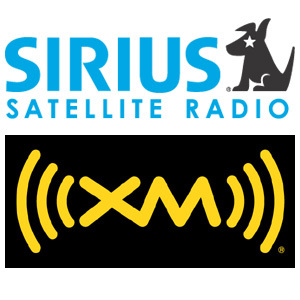 The automakers have become a significant source of new subscriptions for the satellite radio operator, and if those company’s aren’t doing well, Sirius will not either. This could be the reasoning why Sirius XM continues to revise its subscriber projections downward. Last Thursday, it said it expected to finish 2009 with 20.6 million subscribers, down from 21.5 million it had projected earlier.